Perhaps the most important history to preserve, in terms of our democratic values, is that of our Founding Fathers. To that end, Howard Milstein serves on the Board of the Thomas Jefferson Foundation as Chair of the Executive Committee and Treasurer. 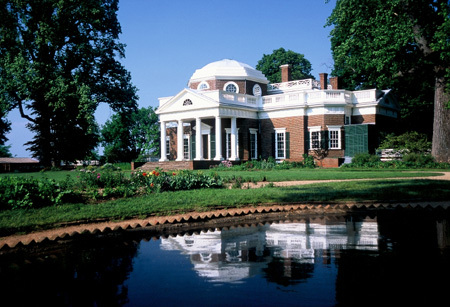 Monticello, the only home in America on the World Heritage List, serves as a museum. Additionally, the 78-acre college campus across from the Jefferson home, boasts 220 scholars in residence who are assiduously preserving the Jefferson legacy. Mr. Milstein has provided lead funding for important renovations and enhancements to Monticello. For the new Visitors Center, he funded the electronics and film and collaborated in its production. In 2006, Mr. Milstein organized the visit of a Board delegation to Paris for the unveiling of the Thomas Jefferson statue at the Quay D’Orsay. More recently, as the owner of a French vineyard himself, Mr. Milstein spearheaded the restoration of the Monticello wine cellar. The new Visitors Center at Monticello.